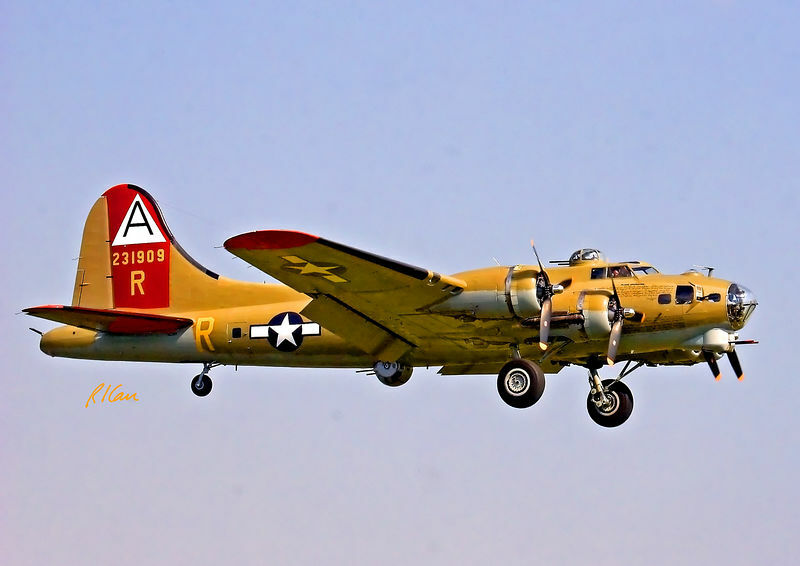 Military aircraft: "Nine-O-Nine", Douglas-built B-17G painted as USAAF 231909/OR-R/A and filies as Nine-O-Nine. This was B-17G-85-DL serial number 44-83575. Bob Collings/Collings Foundation, Stowe, Massachusetts. Thunder Over Michigan, Yankee Air Force, Willow Run Airport, Ypsilanti, Michigan, August 2005.